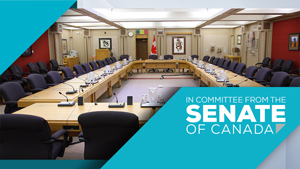 Ottawa – October 15, 2018 – The Senate recently called on UFCW to provide advice about the future of Canada’s agri-food sector, and recommendations for improving labour policy in particular. As the voice of Canada’s food workers, UFCW joined other stakeholders in Ottawa to discuss a number of pressing labour market issues facing the country’s agriculture and agri-foods sectors, with the Senate’s standing committee on agriculture and forestry. UFCW highlighted a number of concerns including the fact that agricultural workers are still excluded from the Ontario Labour Relations Act, and cited a number of problems associated with the Temporary Foreign Workers Program, or TFWP. UFCW Canada’s presentation to the Senate committee follows the UFCW’s extensive participation in the federal government’s ongoing review of the TFWP, which has involved the union making an official submission to government, along with several rounds of consultations. To see a video of the full Senate presentation and question and answer session, check out the UFCW Canada YouTube channel.